In a leaked document published on subscription based site Politico, it appears that geo-blocking for audio-visual material will fall outside the scope of any EU reforms proposed in the coming months and a VPN will still be necessary to access content EU-wide. Back in August 2015 VPN providers and other geo-blocking bypassing services received emails from the European Commission requesting details on how many users within the European Union used their services to alter their location and access services from other member states. Most good VPN companies chose not to respond to the questionnaire due it going against the ethos of them protecting the privacy of their customers and also more so because without logging such details the providers wouldn’t have been privy to such information. In a March 2016 update the European Commission found that up to 68% of digital content providers enabled some sort of geo-blocking and although it looked as if the EU was pushing towards requirements to remove such blocks in their Digital Single Market initiative, cracks eventually started to appear. 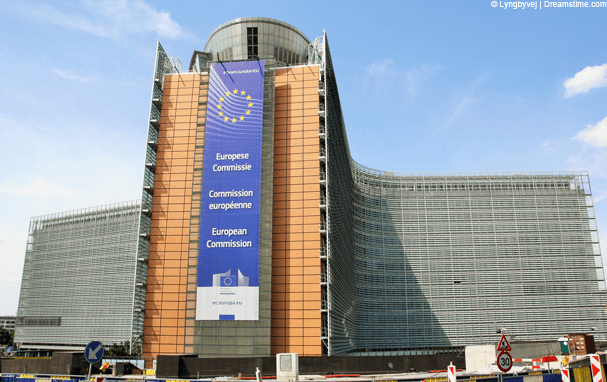 At the time the commission noted that if a broadcaster made a business choice not to sell abroad rather than be held under contractual terms not to then it fell outside the scope of EU competition law. The newly leaked draft document adds a further nail to the coffin of the removal of geo-blocking restrictions by making recommendations that certain areas should be excluded including “audio-visual” which would see services such as Netflix, BBC iPlayer and Sky Go allowed to continue their geo-blocking practises. A somewhat u-turn appears to now be the recommendation and that services that are provided under “exclusive territorial licenses” would be excluded from the scope of the regulations. So while it could have signaled the end for the need to use a VPN service to access content from other regions at least within the European Union, it would appear that this will no longer be the case and a VPN will still be necessary to access content that utilises geo-blocks. For Netflix users the news will make little difference as over the past few months they have introduced the most aggressive bypass blocking techniques in the industry seemingly blocking all major VPN providers from accessing different regions of their service. While a petition of 45,000 people opposed to the blocks has been delivered in recent days to Netflix’s CEO it is likely to make little impact on the situation. Users at popular Torrent news site TorrentFreak appear unsurprised with the move with one user DutchGuest correcting calling the outcome over a year earlier when the proposals were first announced. The leaked report is likely to be published in the next two weeks with the watered down recommendations coming into effect in 2017. Savvy users make use of VPN services from providers such as IPVanish to bypass geo-blocks and access entertainment and other content from other regions. As it is likely these blocks will now remain users will continue to need a VPN service to access the content they wish to watch.